Kamea and Kofya are amulets from Salonica, Greece. 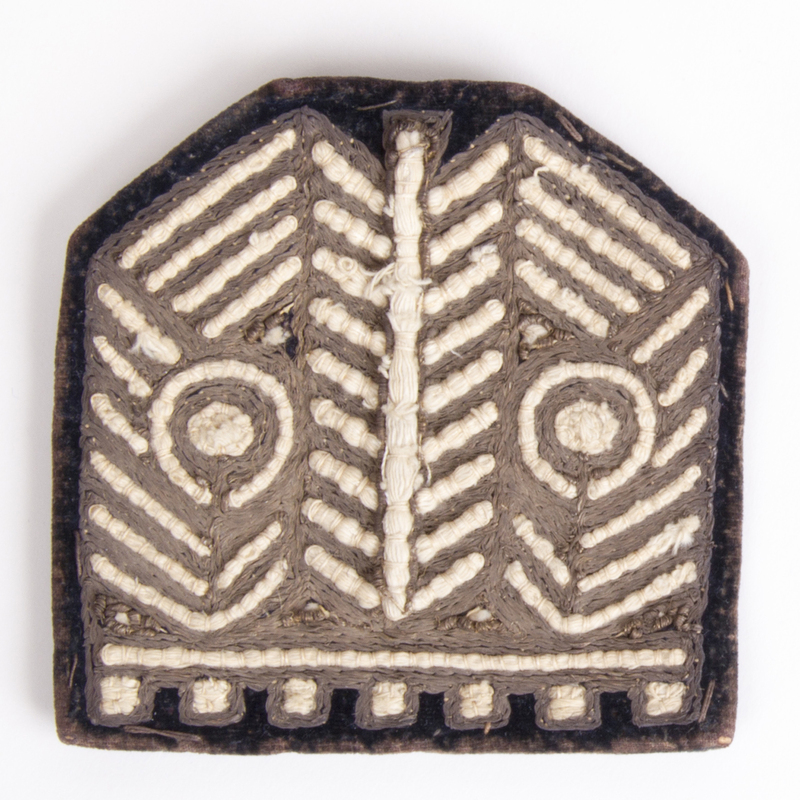 The amulets were meant to be worn in women’ braids or chignon. 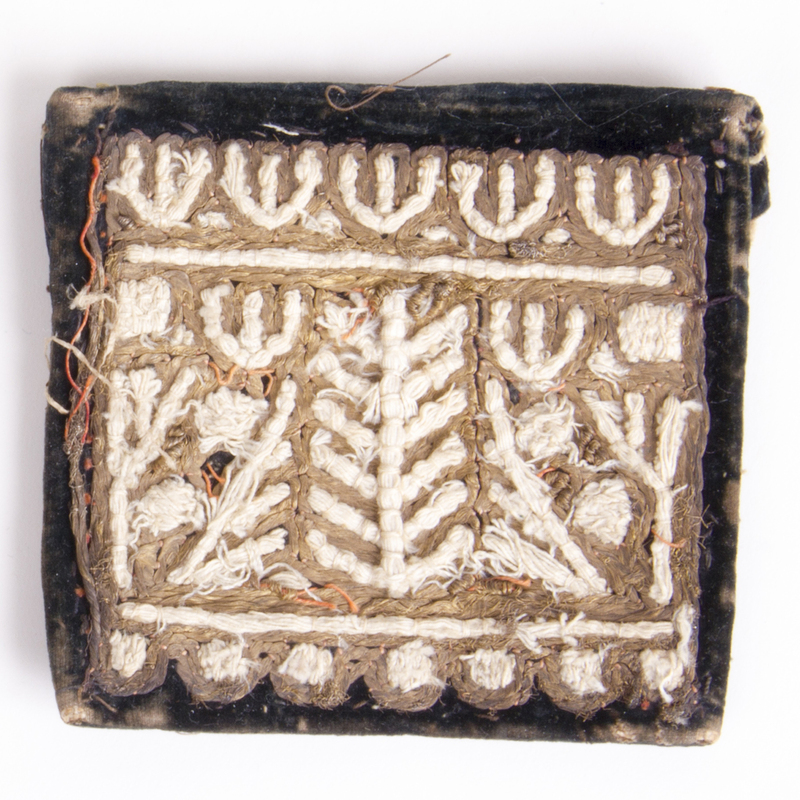 The common embroidery motifs were ties, branches or eyes.